Having been featured in a fall wedding inspiration shoot (along with the talented teams at HelloLove Photography, mStarr Event Design, Ceremony Boston and a few others), we wanted to share volume IV of mywedding -The Magazine. It is available online as well as a printable version that you can get here. 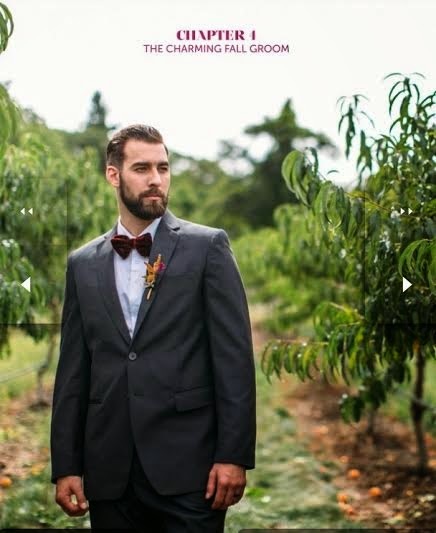 Our super 150’s charcoal grey custom suit was featured as the groom’s attire. How amazing does that shoot look? (see the full article here) From the location to the flowers, everything looks picturesque. You can always rely on 9tailors to make you look dapper on your wedding day!